The Biological Treatment is a revolutionary new way to keep your workplace washrooms nice and clean, without the use of aggressive chemicals that hurt the environment. Do you believe that those urinals and nasty odours are there to stay and that it’s just a normal state of washroom that is used by the entire company? Think again. Do you think that the only way to keep your washroom under control is with strong, toxic chemicals? With Alsco New Zealand, you’ll know better. Alsco has the solution – in every sense of that word. It’s effective. It’s powerful. It’s also eco-friendly. The new ‘Biological Treatment’ is precisely that. This is the first time that this amazing technology is used in New Zealand. It doesn’t simply clean. It prevents the future buildups of dirt and germs altogether. With this, you’ll forget you ever had to put up with unsanitary washrooms. The best way to remove dirt and germs is to find something that eats it. That’s precisely what Alsco offers. Our amazing Biological Solution is packed with harmless “bugs” that consume bacteria and other germs without damaging the washroom surfaces. 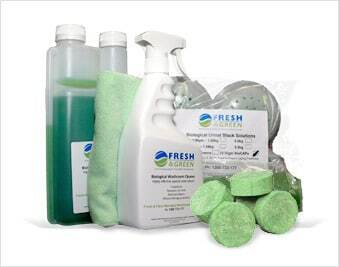 While toxic chemicals are not environmentally friendly, they are also a one-time solution. With our “hungry microbes” those horrible, smelly buildups are a thing of a past. The effects last longer and the environment is saved. Alsco uses them in a form of solution to clean your washrooms, but we also leave the blocks to maintain the level of hygiene we created. 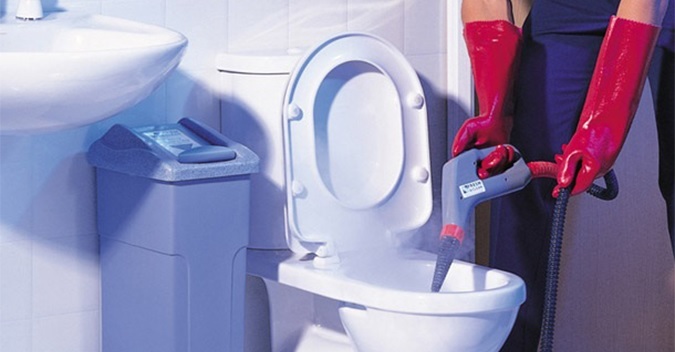 Also, our representatives will come regularly to clean your washrooms again, replace the solution and blocks. 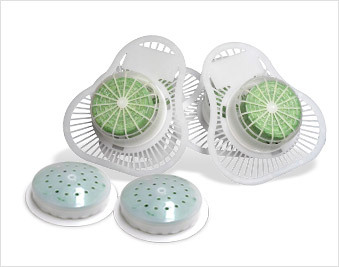 Eliminates the bad causing odour of your washroom floors.